It's a week of firsts for me! Really really rad firsts too. I had nutella for the first time (don't shoot me), AND....... drumroll........ I made my first yarn pom-pom! I am amazed (and a bit embarassed) that I've never experienced either of these until now. What can I say? I'm a loony. I came across this post, and knew my first pom-pom had to be created. 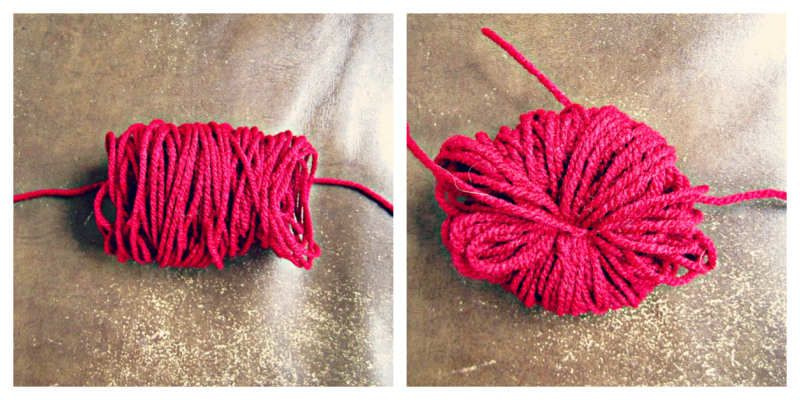 Then, cut an 8-10" piece of yarn, and a 15" piece of yarn. Put those aside. 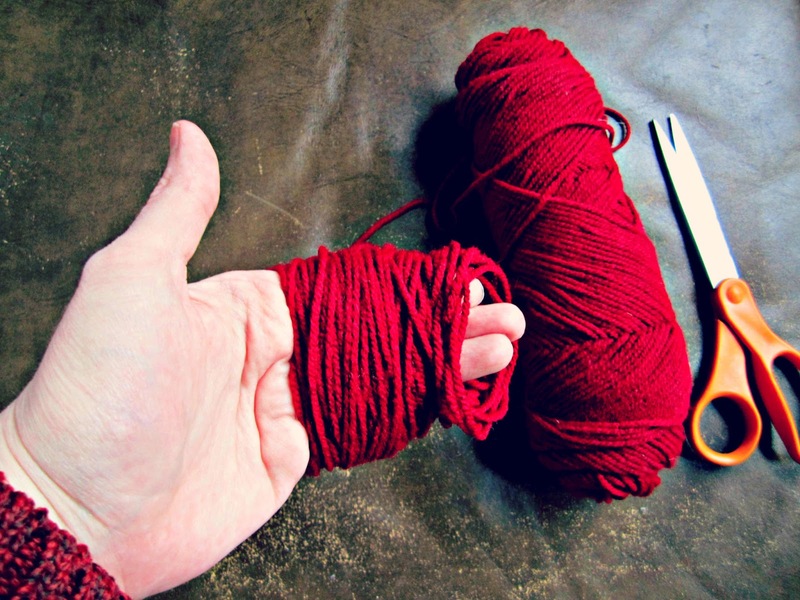 Start wrapping yarn pretty loosely around your fingers about 90 times and cut the yarn string from your skein. Carefully take the yarn off your fingers and lay over the 8-10" string as shown below. 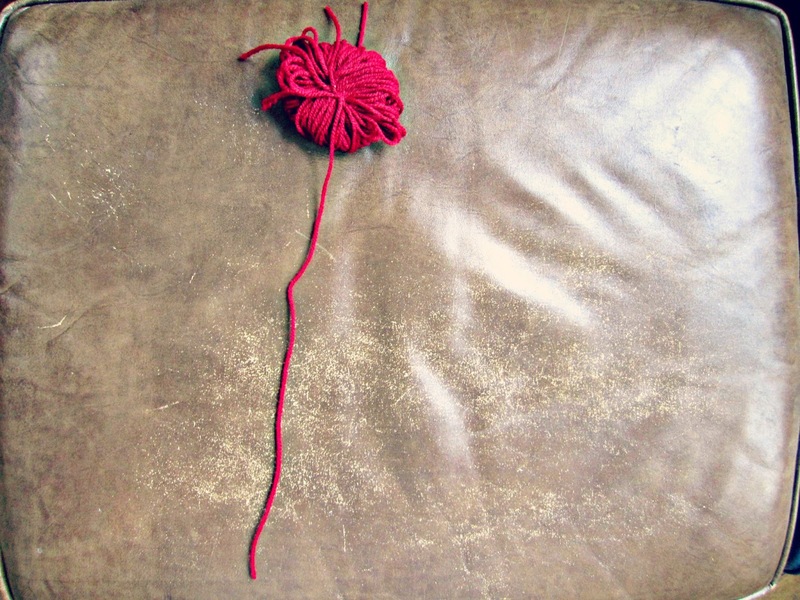 Tie the string tightly in a knot around your wound yarn. 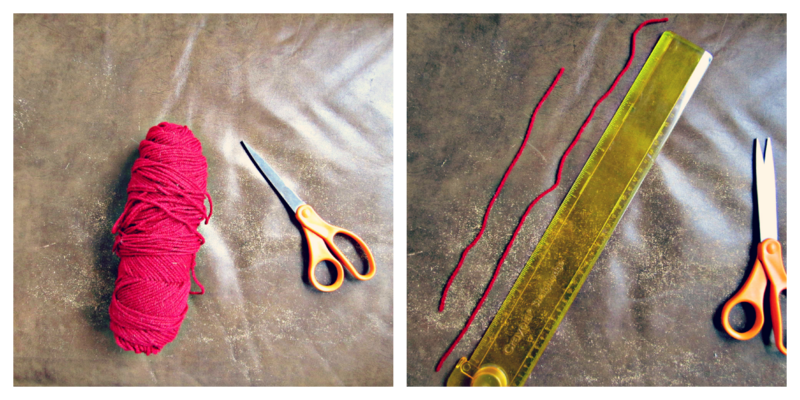 Take your 15" string and tie it tightly around your knot created with the 8-10" string. 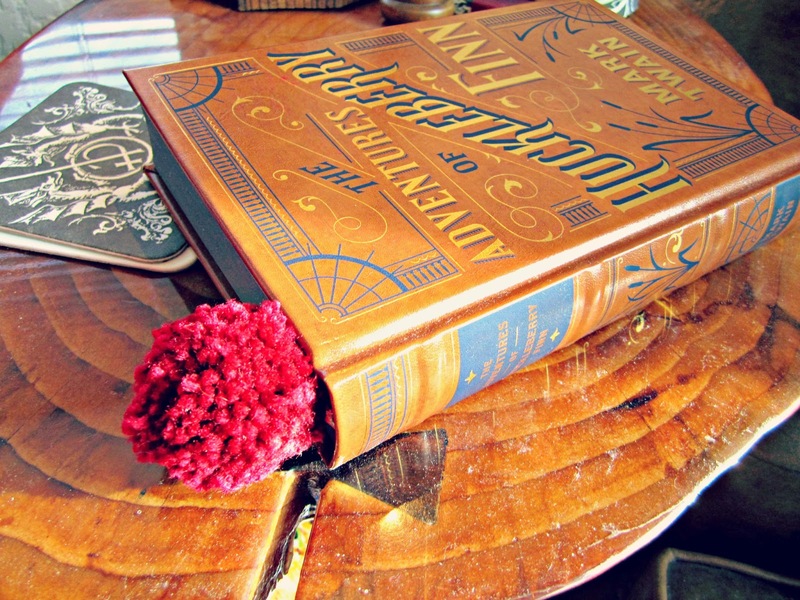 This will be your tail, or book marker. 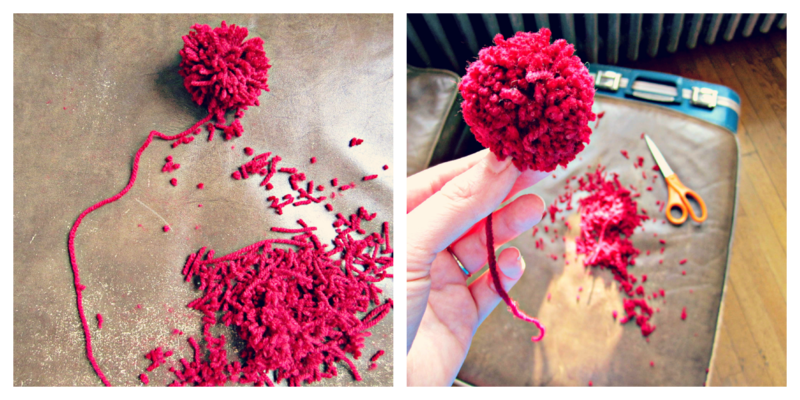 Cut through the loops to create your pom-pom. 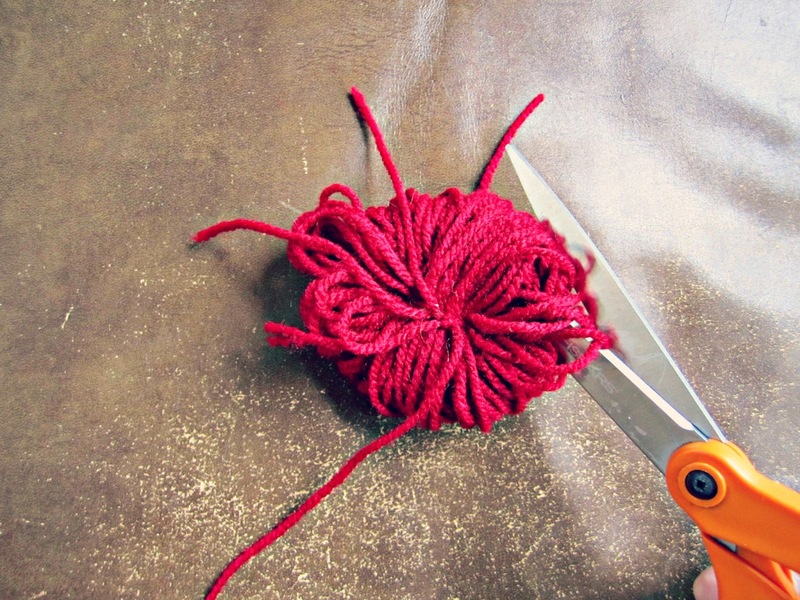 Using your scissors, trim your pom-pom until you have your desired ball shape and size. Don't be afraid to cut here! You will need to trim a lot off to get it looking great. Be careful with that tail though, you do NOT want to accidentally cut that off. This is so super cute! I just discovered your blog and really, really like it - keep up the good work! LOVE this!!! 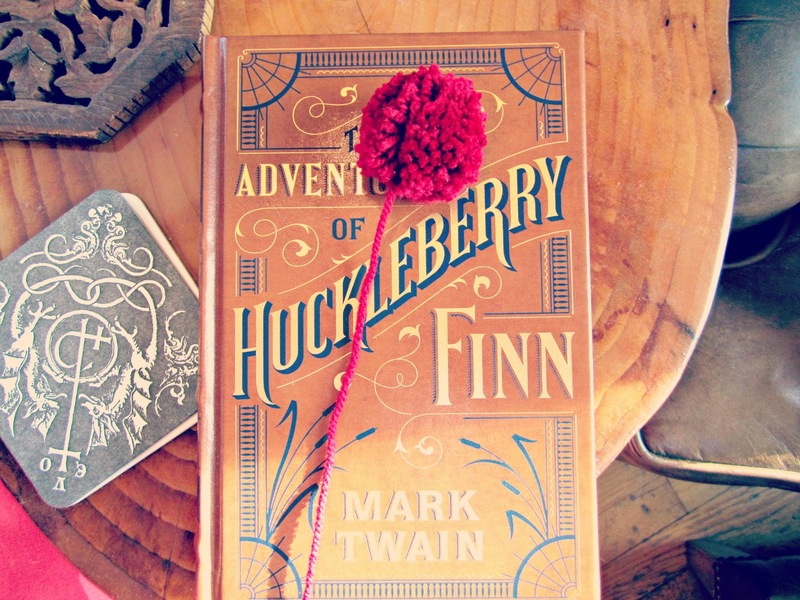 Maybe I'll make a bunch for my book club buddies! That'd be fun.